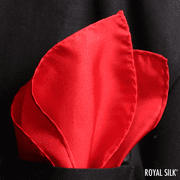 Whether you’re in a tux, suit, sports coat or blazer, a pocket square is an elegant accessory designed to be worn in the left breast pocket. 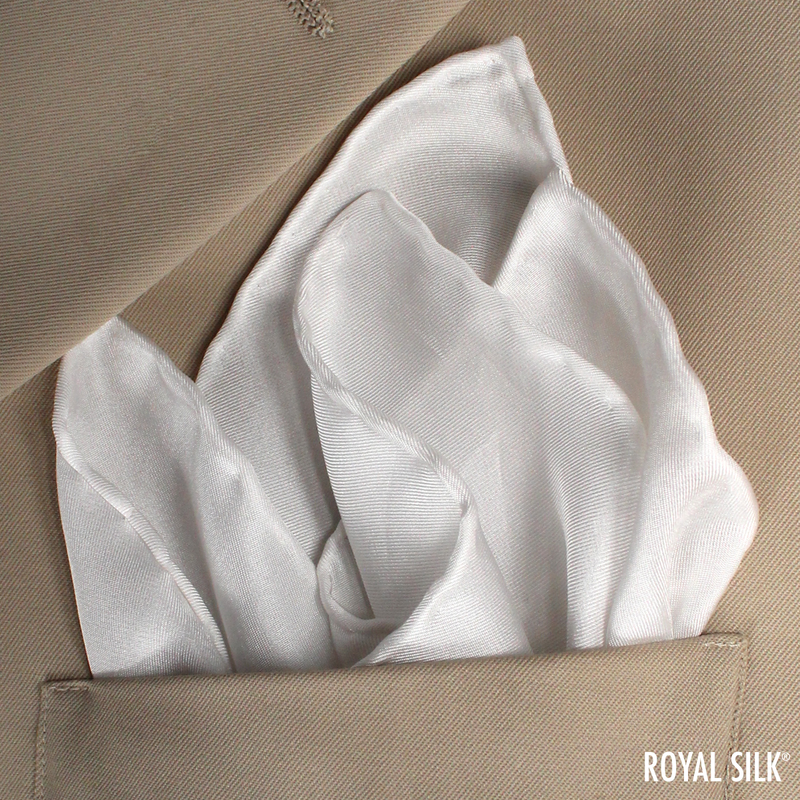 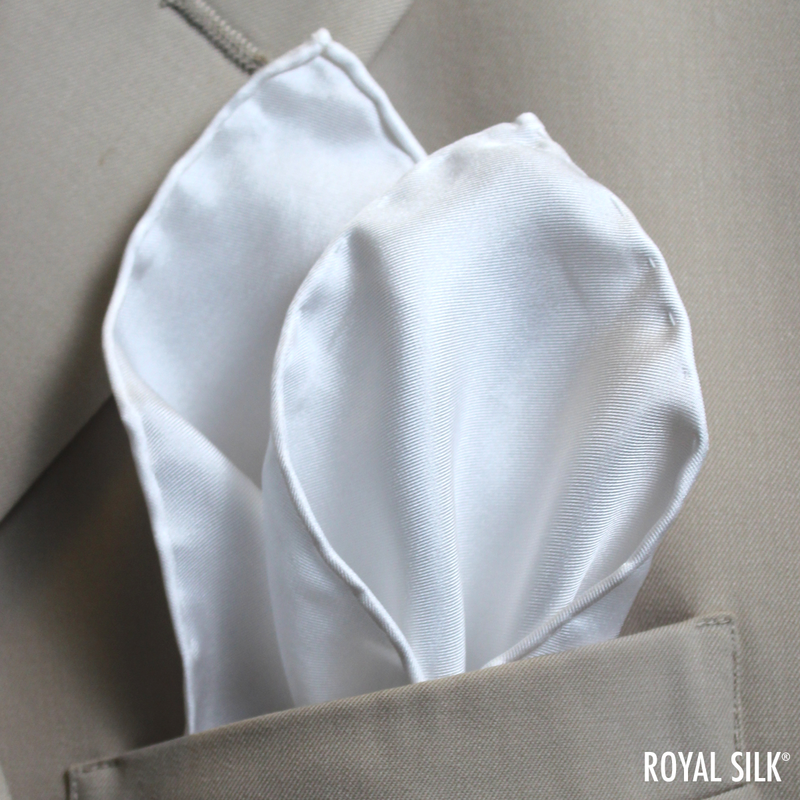 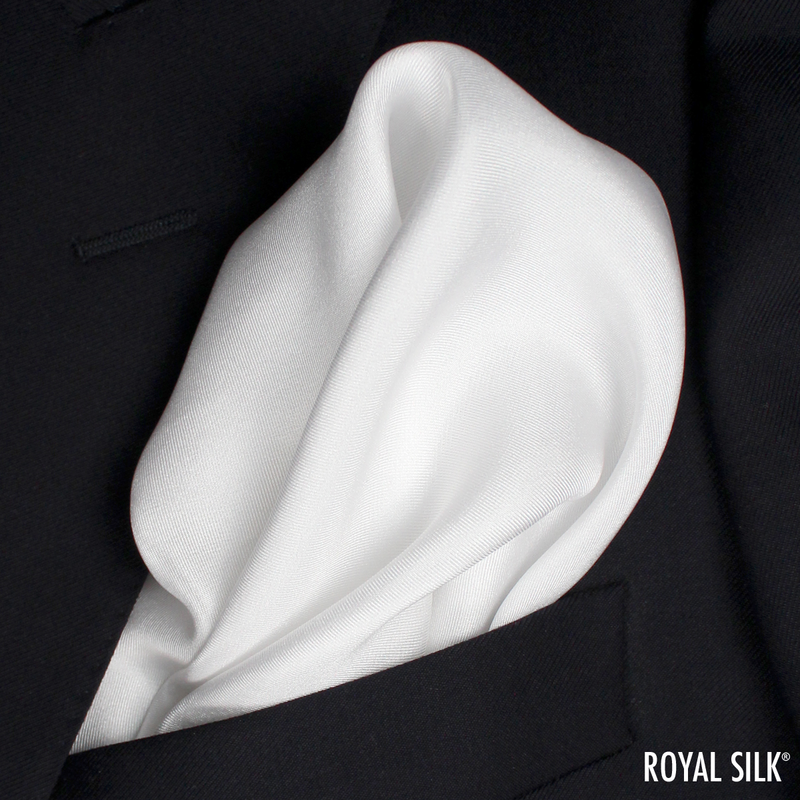 Royal Silk Pocket Squares perfectly pair with any jacket, and is shown here in the pure classic white color. 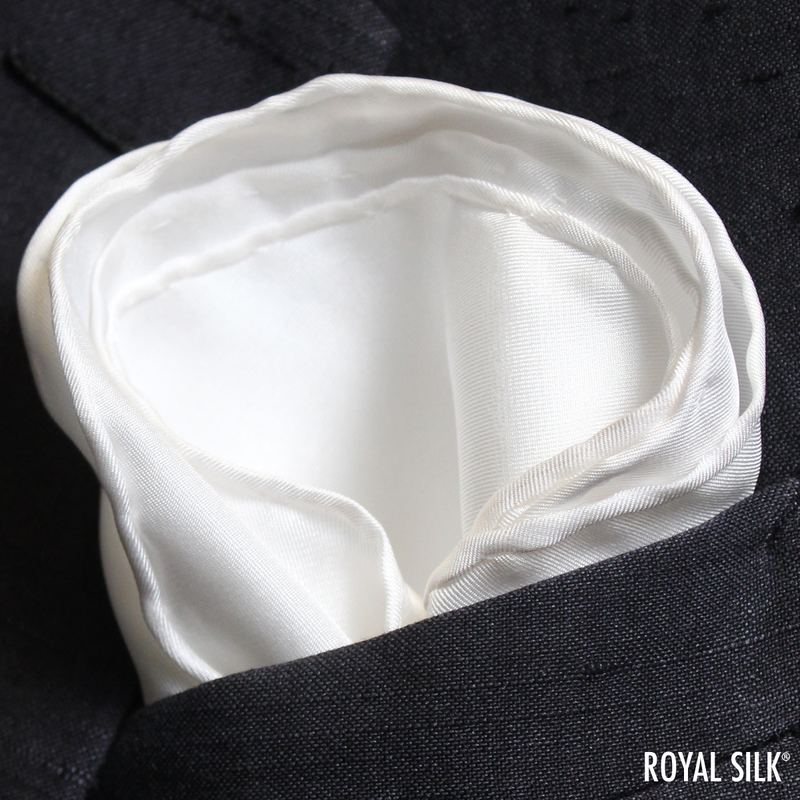 The luxurious feel and finish of this hand rolled pure white silk twill pocket square will lend confidence and sophistication to any outfit. 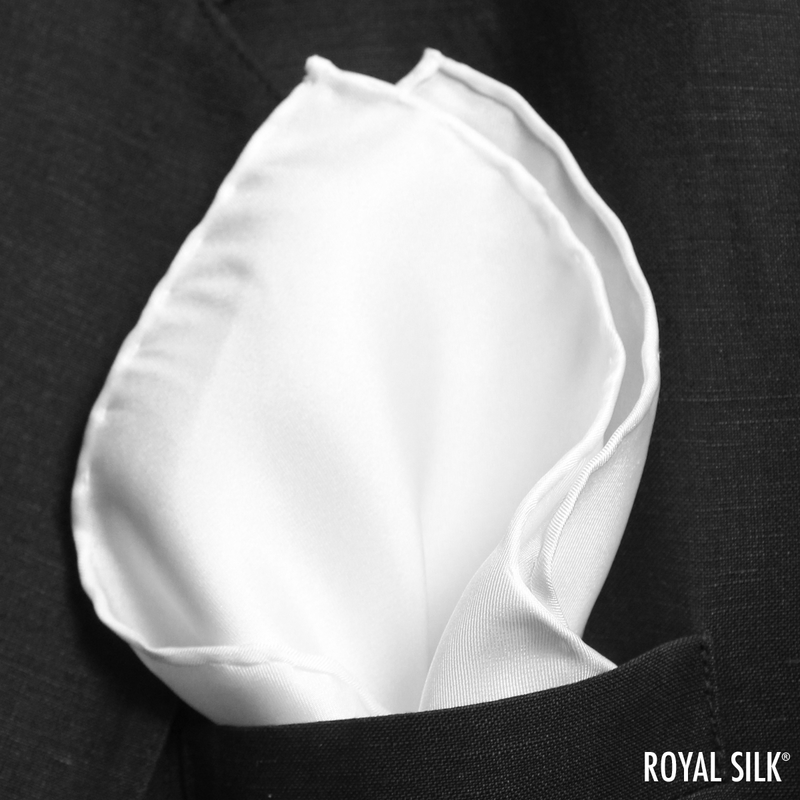 This must-have accessory for men can be worn day or night, and on any occasion. 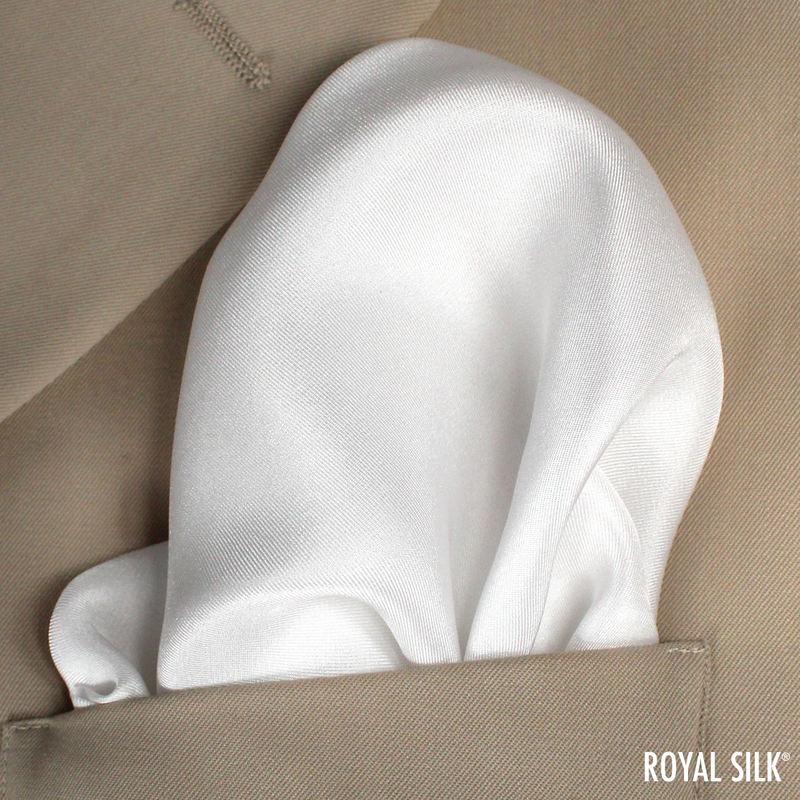 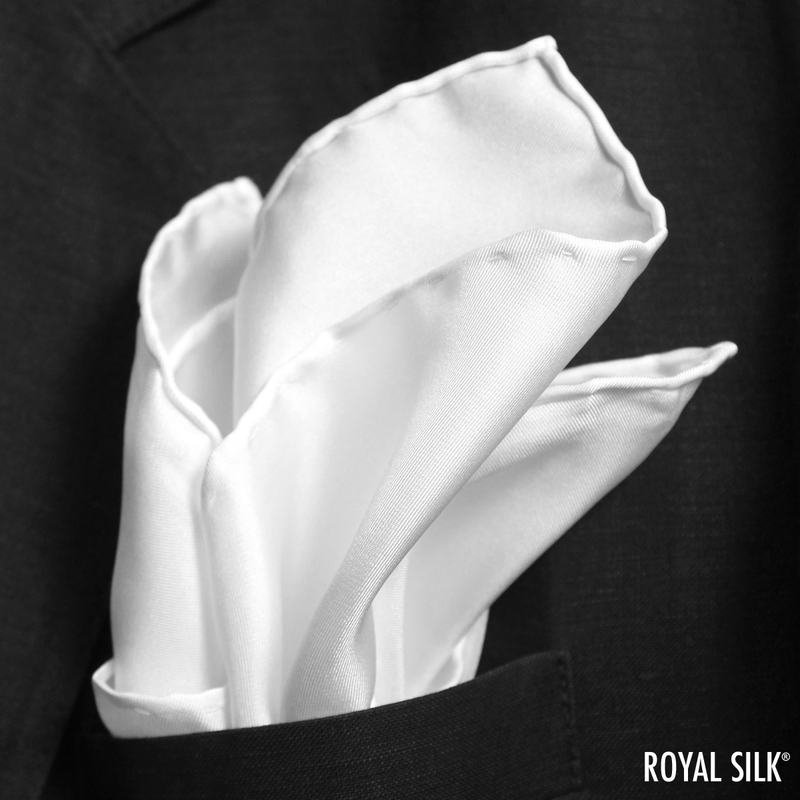 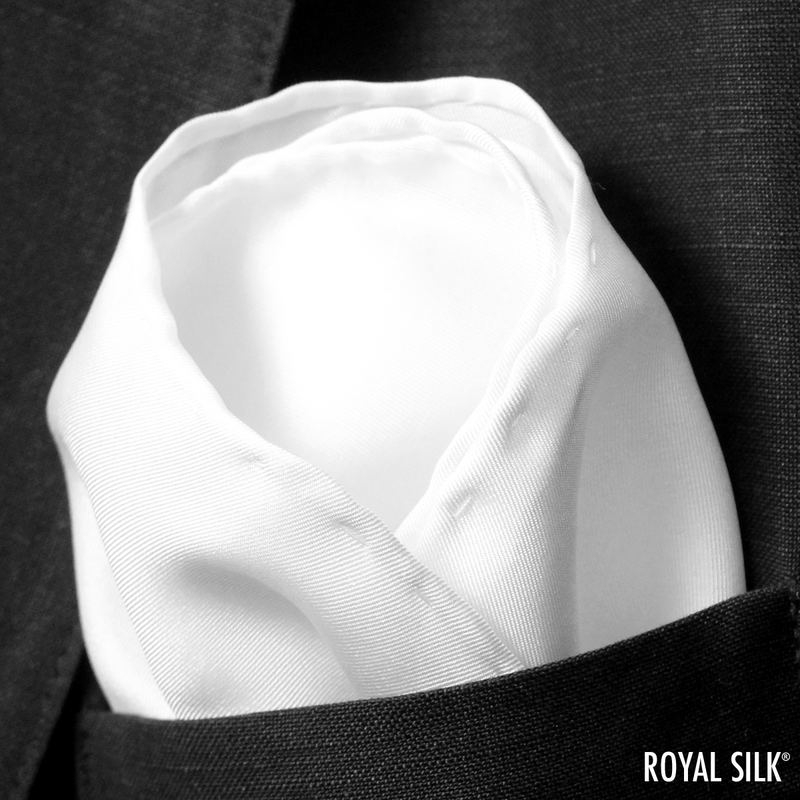 Showcase your personal sense of style with a Royal Silk Pocket Square. 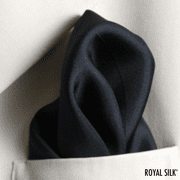 This Royal Silk pocket square is made of genuine, high-quality 12-momme silk twill with hand rolled edges, a subtle sheen, and elegant drape. The silk twill weave gives each pocket square a lightly textured finish, and the mid-weight silk fabric allows you to perfectly style it for any occasion.